(1 Customer Reviews) | Write Review 12 issues per year Construction Europe is well established as the must-read magazine for key decision makers in the European construction sector. First published in 1991, it is at the heart of the industry. Construction Europe is well established as the must-read magazine for key decision makers in the European construction sector. First published in 1991, it is at the heart of the industry. You'll receive 12 issues during a 1 year Construction Europe magazine subscription. Great interesting read with independent and trustworthy editorial. 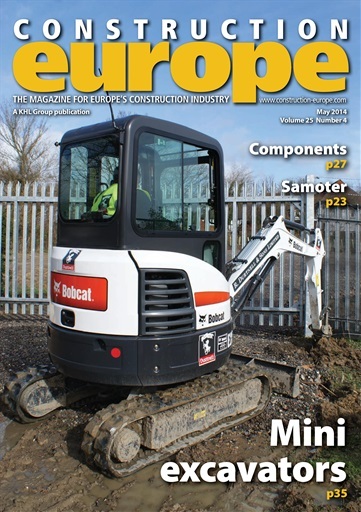 You'll receive 12 issues during a 1 year Construction Europe magazine print subscription.